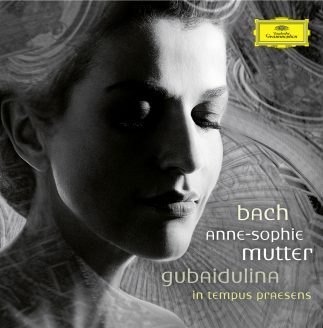 Sofia and (Anne-)Sophie – the similarity between the two names inspired Gubaidulina. “During this whole time, I was accompanied by the figure of Sophia – divine wisdom. It was all entirely spontaneous: our names are the same – it was this that provided the basis for this association,” the composer explains. For Gubaidulina, Sophia is the figure revered by orthodox Christianity, the personification of wisdom who has laid the foundations for all creativity and intellectual effort in the history of creation, preparing the way for all that develops organically in the world. She is the fountainhead of art and of the artist’s engagement with the lighter and darker sides of human existence. Formally and musically, Gubaidulina’s five-part concerto unfolds in two different directions. On the one hand, it obeys the impassioned desire to develop, spreading out in the form of a fan with an exponentially increased number of sounds, pushing forward into the instruments’ highest registers, which represent heaven, while also exploring the deepest regions of hell through the use of trombones, tuba and contrabassoon. At the same time, however, the work expresses the utter necessity of reducing this whole creative variety to a single sound once again, its unison implying divine unity, which on a concrete level takes place during the transition from the fourth to the fifth episode. 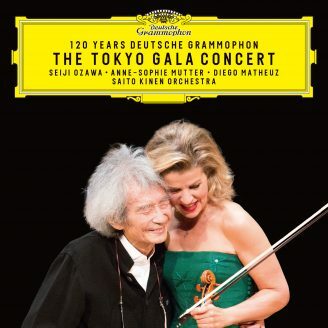 Anne-Sophie Mutter finds this passage particularly inspired. The violin attempts to break free from the fate motif in the orchestra, an idea implacably repeated and intensified in the 40 bars leading up to the cadenza: “It rises to a tremendous climax and to the work’s most decisive moment, which takes the form of a portentous whole bar’s rest from which the beseeching solo cadenza finally breaks away.” For the soloist, a particularly magnificent moment is the burial scene that recalls the Russian Orthodox Church and that is painted in sombre colours by the cellos and violas. “Towards the end, the Wagner tubas soar aloft in an enormously powerful gesture of revolt, unleashing a torrent of ecstasy, as if Brünnhilde were riding towards us.